New Delhi:Retirement fund body EPFO’s payroll data suggests that as many as 4,474,859 jobs created during September 2017 to May this year. However, the retirement body lowered earlier estimate of new members enrolment by 9.57%, from 4,126,138 to to 3,731,251 for September 2017-April this year. 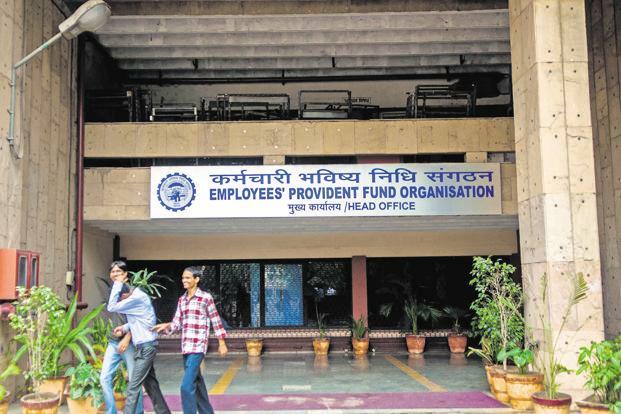 According to the payroll data released by the Employees’ Provident Fund Organisation (EPFO) last month for September to April, as many as 4,126,138 new member were enrolled for its social security schemes to provide benefits, including provident fund, insurance and pension. According to the latest data released Saturday the new members enrolment in May is the highest so far in last eight month at 7,43,608. During May, the maximum number of enrolment of 2,51,526 were recorded in the age bracket of 18 to 21 years followed by 1,90,090 in 22 to 25 years age group. The payroll data statement says that the data is provisional as updation of employees records is a continuous process and gets updated in subsequent months. It also stated that the estimates may include temporary employees, whose contributions may not be continuous for the entire year. For each age-wise band, the estimates are net of the members enrolled and ceased during the month as per the EPFO records, it added. The EPFO manages social security funds of workers in the organised/semi-organised sector. It runs three social security scheme Employees’ Provident Fund Scheme 1952, Employees’ Deposit Linked Scheme 1976 (EDLI) and Employees’ Pension Scheme 1995. It manages the accounts of over six crore members and a corpus of over ₹10 trillion.